The first online game in the Elder Scrolls franchise will cover the entire continent of Tamriel and feature three distinct player factions. Players will choose a faction and clash with the other two factions, the Empire and the Daedric Prince Molag Bal in an attempt to take control of the Imperial City of Cyrodil and stop Nirn from becoming merged with Oblivion. The Elder Scrolls Online was initially a subscription based game consisting of purchasing the game with the first 30 days being free and $14.99, €12.99, and £8.99 per month. The game is available for PC/Mac, PS4 and Xbox One. 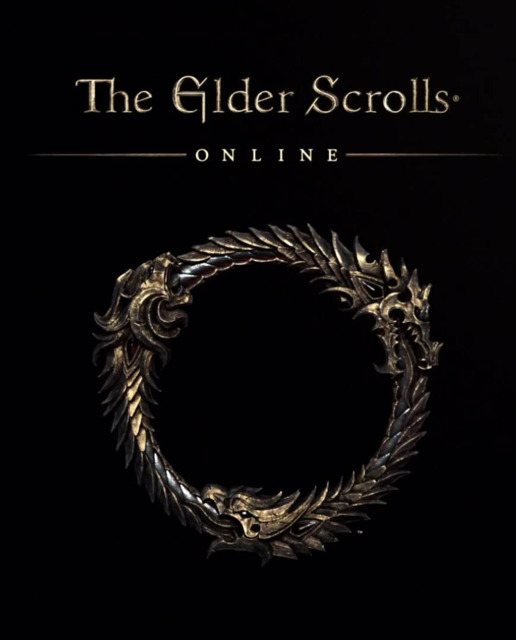 On March 17, 2015 the game was renamed The Elder Scrolls Online: Tamriel Unlimited to coincide with players no longer needing to have an active subscription to play the game. Players only need to buy the base game in order to play the full game. The Improved Emperor's Guide to Tamriel - a 224-page illustrated guide annotated by the imperial scholar, Flaccus Terentius. Physical Map of Tamriel - A 21" X 26" printed map detailing Alliance-controlled zones and the ultimate conquest: Cyrodiil. It's also possible to get a digital upgrade to The Imperial Edition from the standard edition. The Imperial Edition can also be purchased digitally, and includes all of the same in-game items. The game features three distinct player factions each with three member races. The Daggerfall Covenant consists of the Bretons, Redguard, and Orcs. The covenant is ruled by the Kings of High Rock which is lead by High King Emeric in Wayrest. The Kings of High Rock is an alliance by marriage of the Redguard and by extension a war treaty with the Orcs. The Daggerfall Covenant controls northwest Tamriel with a strong hold on High Rock and footholds in both Skyrim and Hammerfell. The Aldmeri Dominion consists of the High Elves, Wood Elves, and Khajiit. The Dominion is an alliance formed by the High Elves of Summerset who reached out to neighboring races when they learned of the fate of the Imperial City. They are led by Queen Ayrenn on the Altmer throne in Summerset. The Aldmeri Dominion has a tight hold on Summerset Isle with a strong foothold in Valenwood. The Ebonheart Pact consists of the Nord, Dark Elves, and Argonians. Their alliance was forced by invasion of the Akavari slavemasters. They are lead by the governance of The Great Moot, a council of all three races lead by High King Jorunn of Eastern Skyrim. The Ebonheart Pact holds Morrowind with a foothold in Skyrim. This was the Elder Scrolls Online's first major content update and it added the Adventure Zone Craglorn. Not fully known at the time was that this update only added two thirds of the province Craglorn to the game. The Craglorn that got added in Update 1 would come to be known as "Lower Craglorn" with "Upper Craglorn" being added in Update 4 in September 2014 thereby officially completing the province. Craglorn was a significant update to the game world as it began to introduce and shape what ESO's "End Game" would look like. Craglorn is a zone designed to be explored by groups of four Veteran Rank 10+ characters, and was very challenging upon release. This update also first introduced Trials to ESO, which are the closest thing to traditional MMO raids in the game today. Trials are 12-player adventures for high level characters. This update added a challenging new Dungeon, the Crypt of Hearts. However, the most significant addition in this update was the ability to pick up environmental objects, such as weapons and arrows. This presented a feature that was a staple of the single player Elder Scrolls games. One of the most significant quality of life updates, this update added a fundamental array of Guild and cosmetic updates, most importantly the Guild Stores. Guild stores are Guild run auction houses. There are 122 in the game, and items sold are only available at the one that the Guild Controls. As such, vying for the Guild Stores in central locations became important to Guild dynamics. Prior to this update, there was mixed reception to new content. This patch however was praised universally, and would mark the beginning of ESO at it is today. Upper Craglorn was the first zone developed post launch (lower Craglorn was meant to ship with the game), and as such was a much higher quality than all of the zones in the original release. It was met with very positive reception (the first of many such updates). This patch also released a new trial, Sanctum Ophidia, which was so difficult it took over a month for the world first completion to occur. Finally, this patch added the Dragon Arena, which is the first Arena style patch that ESO would see. The content included in this patch was the Veteran City of Ash, a revamp of the original dungeon. Dungeon scaling allowed the same dungeons to be run with increased challenge and rewards. In addition, the Undaunted will give out two dungeon dailies - one regular and one veteran. Completing these dailies will also give you an Undaunted chest key in either bronze, silver or gold according to an increasing set of challenges. Crafting Writs were also added, and are daily quests (reset every 20 hours) that can be performed in all six of the crafting professions.These Writs allowed for quicker and cheaper crafting leveling. This update allowed one to commit criminal actions throughout Tamriel such as theft, burglary, pickpocketing and murdering NPCs. Many things were added as part of this system, such as Outlaw Refugees, bounty system, and locked houses. Plans for a future PvP system where law enforces could kill outlaws were announced. The Champion System introduced is effectively the skill constellation UI from Skyrim, and is used for optional perks. Eventually (June 2016) this system would fully replace the veteran rank system. The Elder Scrolls Online moved to a Buy-To-Play model and rebranded as The Elder Scrolls Online: Tamriel Unlimited. Prior to this date, ESO had a subscription payment model where you were required to pay $15 per month to play the game. The Crown Stores was added for cosmetic items, and an optional subscription which gives 1500 Crown Stores points, 10% bonus to XP, gold gain, crafting research, and inspiration, and access to all future DLC for free (as long as one remains subscribed) is added. The Elder Scrolls Online: Tamriel Unlimited began sale on PlayStation 4 and X-Box One. It was the PS4's top seller in June and the optional subscription was in the top 10 DLC's from June-December 2015. The One Tamriel update removed the zone restrictions for each faction in PvE. Now, any player from any faction can travel to any zone in the game. The update also set enemies to Champion Points 160 (a high-end level). If the player is below this level, they will be scaled to Champion Points 150, essential turning the whole game into a level-scaled experience until max level. Players are now free to travel to any zone in the game without having to worry about being over-levelled or under-levelled. A new class: The Warden. A druid-like character who can summon animals to help fight in combat, as well as use ice-based magic. A new PvP mode: 4v4v4 Battlegrounds. Morrowind seems to be ESO's biggest new content to date, hence the $59.99 price tag for the standalone version and $39.99 for the upgrade edition.